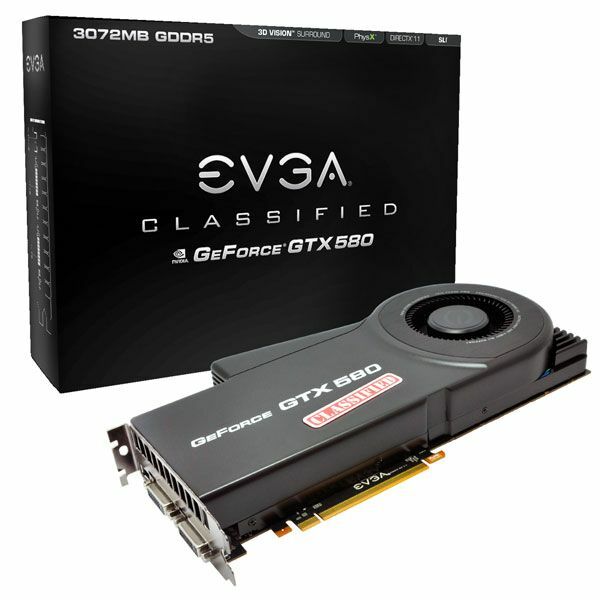 EVGA has officially launched its GTX 580 for eXtreme users: the Classified version of the GeForce GTX 580. We already have a preview of this card 2 month ago in this news. 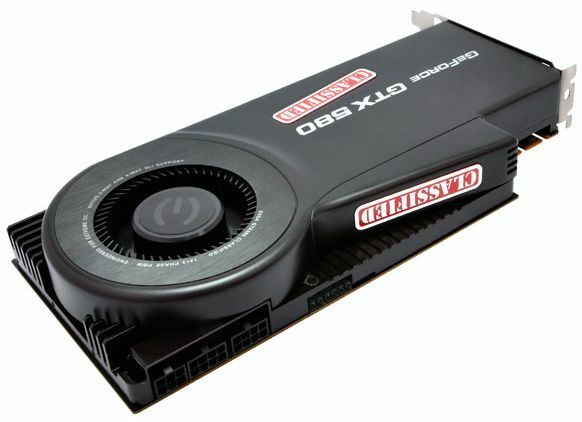 The GTX 580 Classified comes with 3GB of GDDR5 memory and a GF110 GPU overclocked at 855MHz (reference clock speed is 772Mhz). 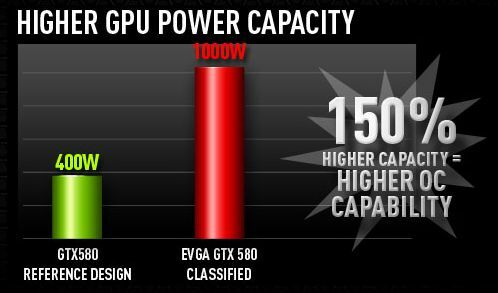 EVGA has designed the GTX 580 Classified from the ground up in order to have a product 100% focused on the overclocking capabilities. The card is priced at USD $599.99. Finally an overclockers card with 3GB RAM, the others missed the opportunity. Will this card play RAGE without problems ?